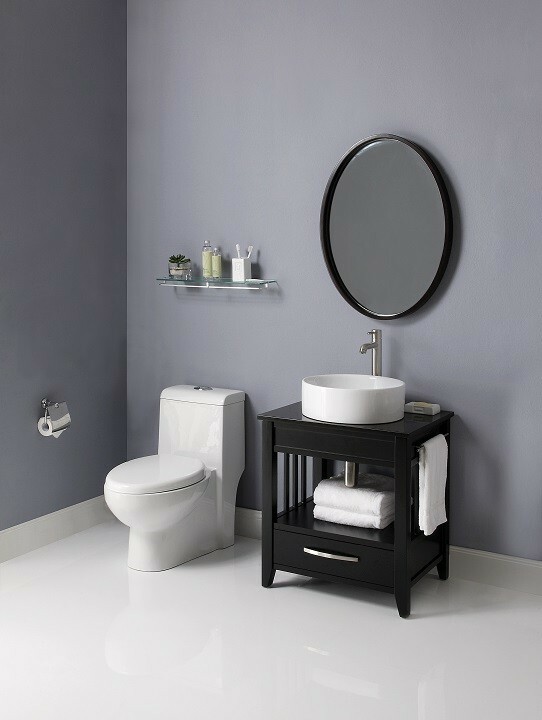 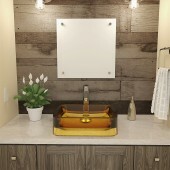 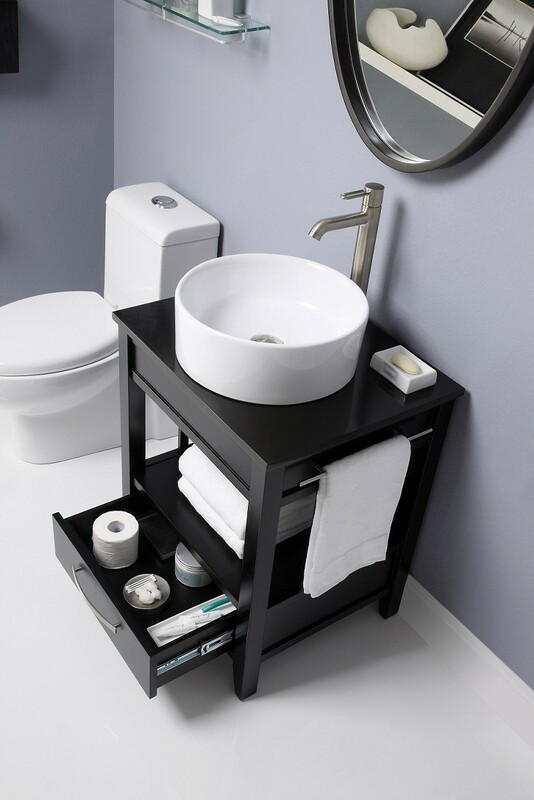 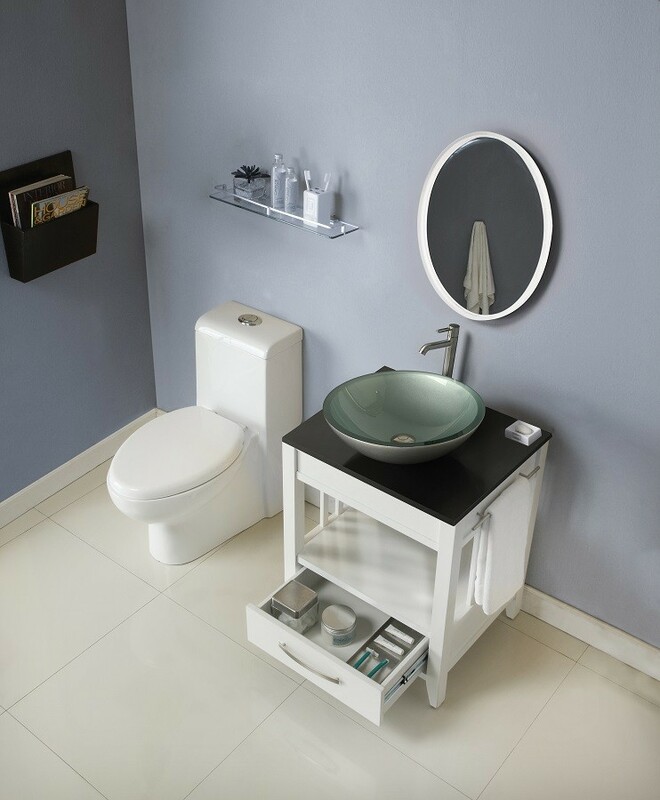 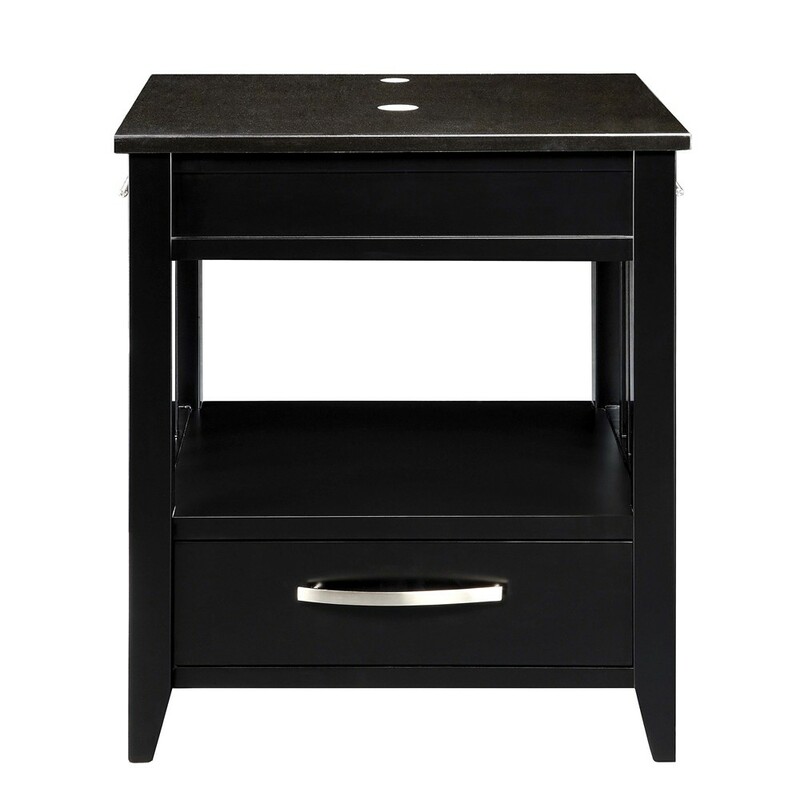 DECOLAV's Ambrosia™ Vanity made of solid wood includes a black granite countertop with single faucet hole drilling. 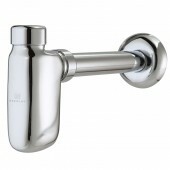 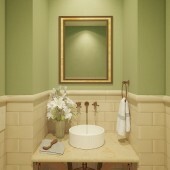 The Satin Nickel hardware and built-in towel bars adds understated elegance. 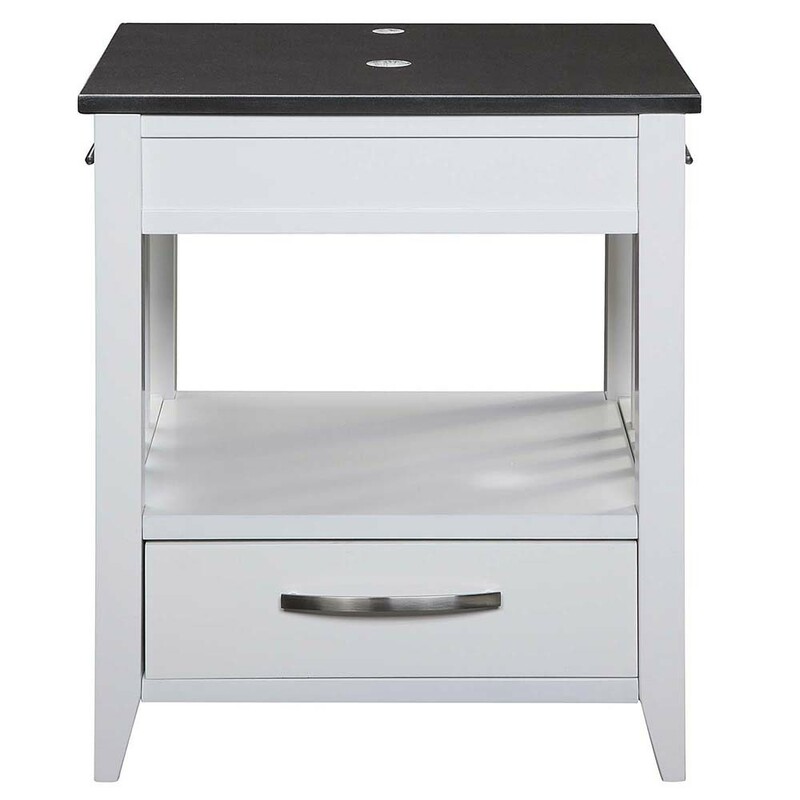 The single drawer with dovetail joints provide ample storage space.